My strong point is that in the 58 years in the business most of the time the boss I have gotten myself into many situations that I was over my head but always worked it out. I do not know everything but know someone that does. I have tried to surround myself with brilliant people. No one knows everything. We are in the Detroit area we can do anything. We have the expertise all around us. It can be made or solved in this area. I will be sure to offer this to you anyone I know you know. We manufacture shorty Pulleys for 289-302-351 engines. They are a direct replacement for Ford Racing M8509-Q single sheath and M8509-R dual sheath V Belt pulleys that have been discontinued 10 to 12 years ago. These pulleys were made for a shorty Ford Racing water pump M8501-E351S (11/2' shorter) for Street Rodders that wanted to put a Ford in their Ford. Most of the chassis that were out there had Chevy engines in them. We also make custom pulleys for the same applications for those who need them. Many people seem to be using them in many classic applications. We can supply you with any other pulleys you may need. 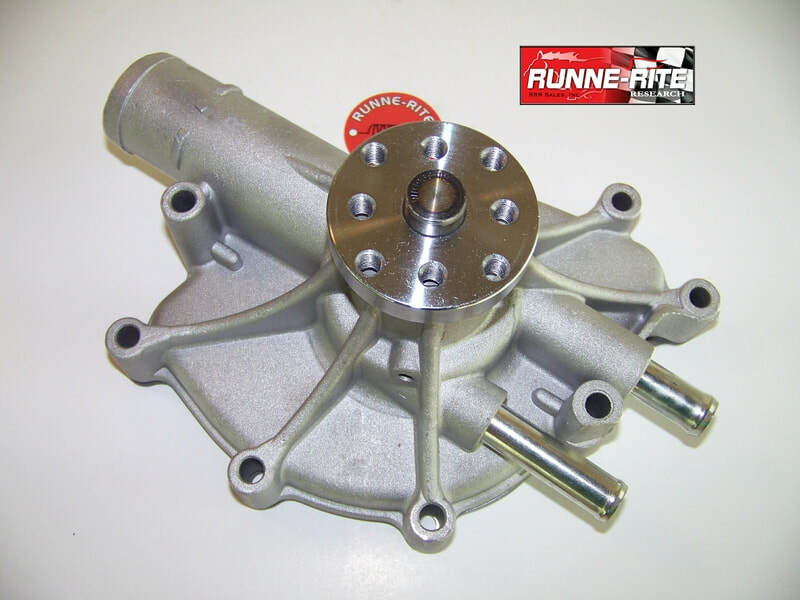 After years of being able to only get the shorty pump (M8501-E351S) from a Ford Racing dealer at whatever price they wanted, we have manufactured a replacement pump. A direct replacement that is equal to Ford's performance and function for a better price available to anyone who would like to invest in a quantity of them. We sell wholesale and retail. 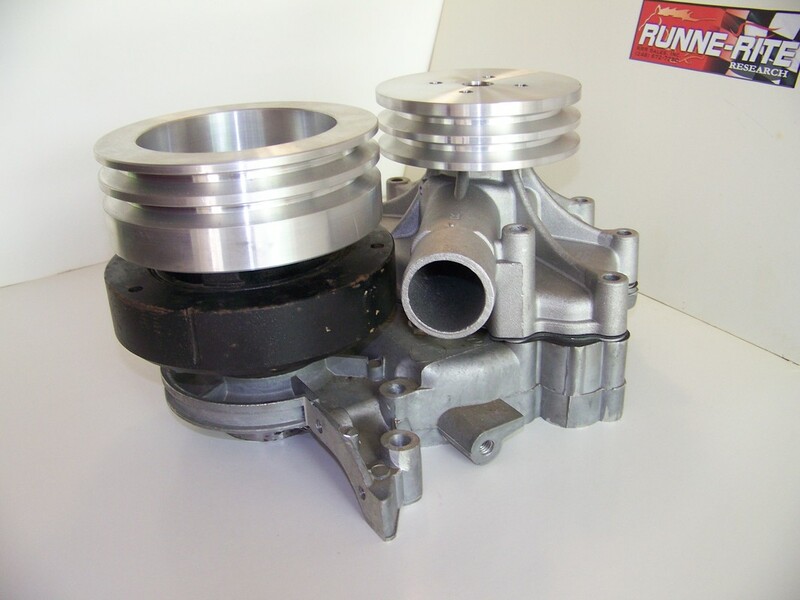 We also sell a complete line of water pumps for all cars. 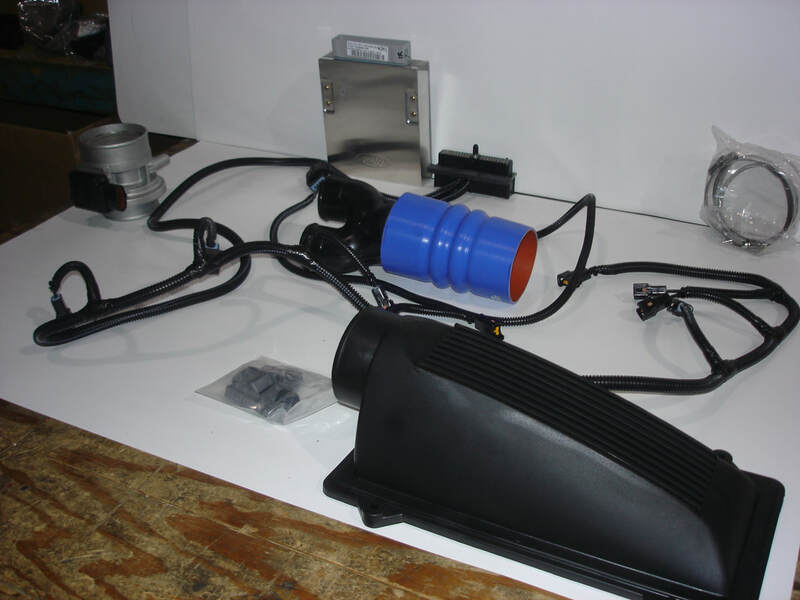 We have Mass air kits for trucks and cars. Our kits replace Ford Racing mass air kit available previously, but are no longer available. M9000-T50-51 stick and auto. Also M12071 kits for cars. There are many combinations available.For this reason we will not sell a kit without talking to the customer or mechanic. We will work with you to build a custom kit that will work best for you. You can buy any parts we have separately.